Assisted living in Tampa checks in substantially below the national average - not too surprising, since the South tends to be a relatively cost-effective region. The 2015 Genworth Cost of Care Survey lists the average annual cost to be $36,000, which is much lower than the U.S. average of $43,200. On a per month basis, this annual figure breaks down to $3,000 per month. If you look at things from a daily rate, the cost hovers around $99 per day. This price point is good news for seniors that exist in that area where skilled nursing home is not needed or maintaining a home is no longer desired. Homemaker services cost $42,900 and home health aide services cost $46,057 on an annual basis. It is certainly a more cost-effective option when compared to nursing home care in Tampa, which average annual cost is roughly $72,051 for a semi-private room and about $80,665 for a private room. Every assisted living facility carries an endgame of providing a comfortable, dignified living experience to its senior residents. However, these facilities go about accomplishing this particular goal in different, unique ways. The difference in these facilities is largely tied to the ambiance and culture of the neighborhood that surrounds them. For example, a facility that is located near the bustle of downtown Tampa will have a much different ambiance and personality than those located in the sections of Tampa near the suburbs. Each of these communities usually expands their individuality via various a la cart services that residents can utilize through an out-of-pocket expense, which are in addition to the services included in their monthly fees. What’s does assisted living entail? Private living spaces. These spaces are usually the size of a studio or a 1-bedroom apartment, but they can sometimes be a multi-bedroom unit that’s roughly the size of a small house. Round-the-clock supervision and security. This includes on-site security and on-call nursing staff. Emergency call systems in each living space, in the event that a sudden emergency occurs. Basic utilities such as natural gas, water, and electricity. Housekeeping and laundry services, typically inclusive of a weekly cleaning and linens change. Daily snacks and meals. These are usually served restaurant style in a central dining area. Wellness and fitness programs. These include traditional services such as on-site fitness facilities to more modern services such as yoga classes. Medication services, such as reminders on prescription refills and reminders for seniors to stay current with their medication schedule. Shopping and transportation assistance. These are typically provided on a regularly scheduled basis and are built around trips to medical centers, local grocers, and retail shops. Social and recreational activities. Some of these functions include game nights, movie nights, holiday parties, religious services, and excursions to local points of interest such as the Tampa Museum of Art or the Florida Aquarium. The Florida Division of Veterans Affairs, or the Florida DVA, is an organization that helps guide veterans within the state through the VA benefits system so they can make decisions that best fit their needs. 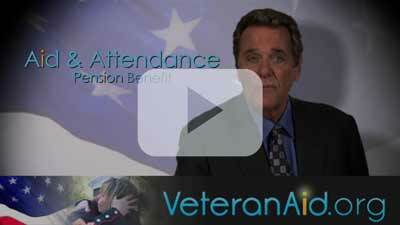 Additionally, the Florida DVA is set up to allow veterans to volunteer to help fellow vets decipher their benefits. The primary military-themed point of interest in Tampa proper is the SS American Victory. This impressive vessel saw duty during World War II, the Korean Conflict, and the Vietnam War and is now a floating museum complete with permanent exhibits. Outside of Tampa in the suburb of Largo is the Armed Forces History Museum; a massive space that’s home to various exhibits and artifacts dating back to World War I.